Relix premiered a new video from The Stray Birds showing the recording process of Magic Fire, including some snippets of new music. 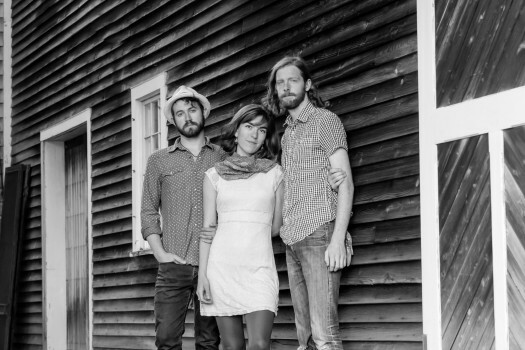 The Stray Birds’ forthcoming album, Magic Fire, set for release on August 19 via Yep Roc marks the first time that the Americana/folk trio worked with an outside producer, as they collaborated with Larry Campbell. The group’s Charlie Muench tells Relix, “Even before we stepped up to the microphones we knew that there was little that was out of the question. Larry’s refrain of “you can’t take it out until you put it in” fostered a wide open approach that instigated creativity. He is an incredibly encouraging collaborator, director, and musician”. Read the full story on Relix, and watch the video above. Pre-order Magic Fire from Yep Roc on CD/LP and Digitally.